Plastic Molder Supplier of the Year! 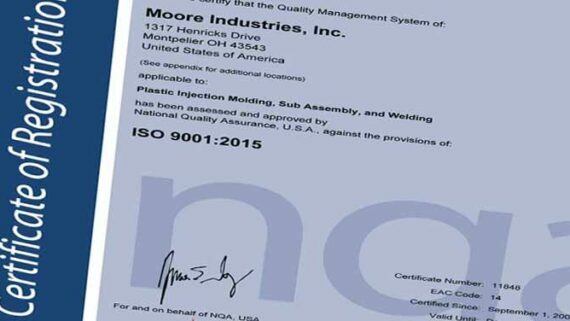 Moore Industries is Based in Northwest Ohio and Offers Custom Plastic Injection Molding Solutions with Ideal Shipping Lanes to Serve the Midwest and Customers Nationwide. We Specialize in OEM Injection Molding Solutions for Ohio, Michigan, Pennsylvania, Indiana, North Carolina, New Jersey, Kentucky and their surrounding area's. Moore Industries, Inc. is a COMPLETE SOLUTION SUPPLIER for ALL CUSTOM PLASTIC INJECTION MOLDING PROCESSES! Our staff is experienced in working with automotive quality and PPAP requirements. 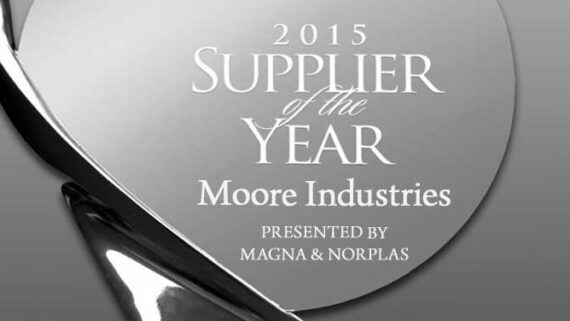 We are proud to have been awarded supplier of year in 2015 by both Magna and Norplas. Learn more on Linked in.